Edamame is a design collaboration between Robert Foster and Gretel Harrison. 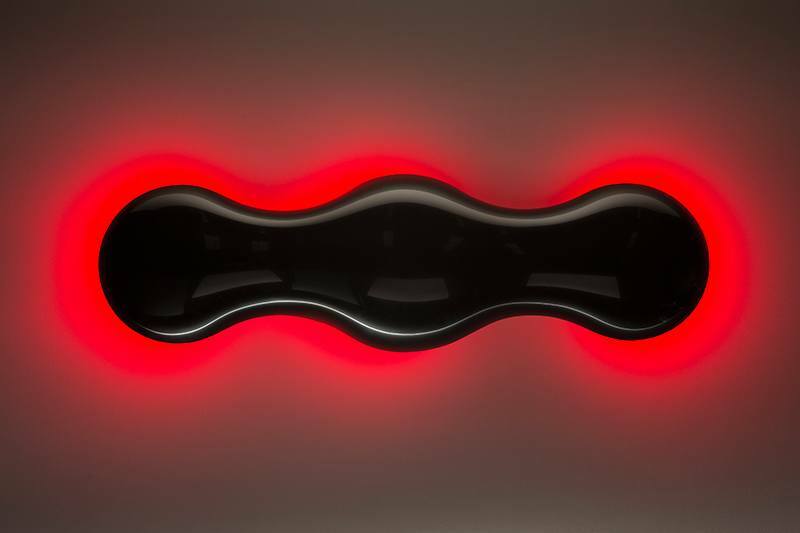 This unique wall light is designed for both mood lighting and to create sculptural wall feature with a single unit or multiples keyed together. Edamame was designed specifically to create visual impact and decorative interest in hotel and office foyers. Colour programming allows for tailored hues that suit the required environment, while the simple form enables either single units or the sculptural combination of more than one to create dynamic wall reliefs. Materials: RGB LED’s and controller, acrylic and anodised aluminium.